2500 years ago Buddha Dharma raised in India and after 1700 years it was extinct from India. The birth place of Buddha Dharma is India. Pannya (Wisdom) Metta (Mercy) Sangha (PMS) was established to spread Buddha Religion. The motive was manifestation and expansion of Buddhism, social, educational and cultural progress of the poor and troddens all over India thru its work. For this purpose Mahasamadhi Bhoomi was made in 1987 in Ruyad situated at Tah. Pauni District Bhandara in state of Maharashtra. Pauni was an ancient town and known as one of the main centres of Buddha culture from the times of Samrat Ashoka. 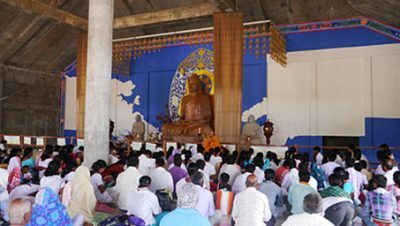 Since 1987, every year people gather together for the Dhamma Mahotsav as a religious festival at Mahasamadhi Bhoomi. In this same sector, on the bank of Wainganga river Mahasamdhi Bhumi Maha Stupa inaugurated on 8th of February 2007. Many other people from different countries like monks and other famous personalities came here to celebrate this festival. On the day Poornima and Amavasya of every month thousands of people came together to pray and worship the god. 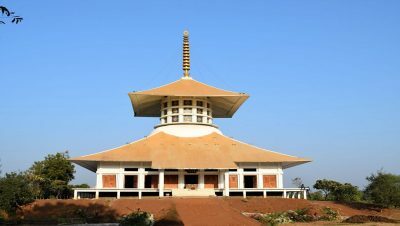 Now a day’s Mahasamadhi Bhoomi which is one of the best samples of Buddhist sculpture and become a Buddha Pilgrimage site. In this environment the important events of the life of Buddha are presented in the form of Statues, which create religious feelings in the minds of incoming viewers.